Stars, Garters and a Sliver Cloud. Another great photo from the The Glasgow Story archives. 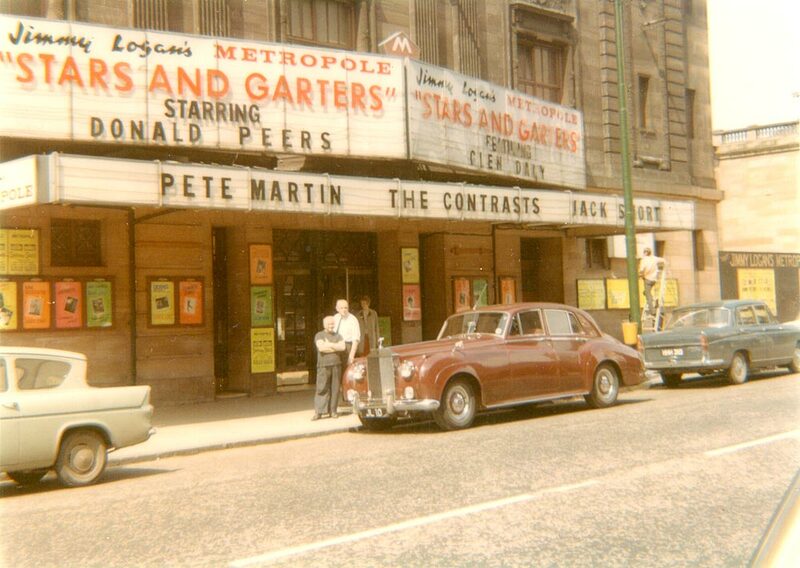 This one is of Jimmy Logan’s Metropole Theatre in 1967. Outside is a 6.2 litre Rolls Royce Sliver Cloud with the registration number JL10. By 1967 the Silver Cloud had been replaced by the more modern looking Silver Shadow, but that car never had the presence of the older car. JL10 now finds itself on a Mercedes S500. I don’t know what became of the Roller. A grey day in Glasgow, 1958. A hot day on Anglesey.